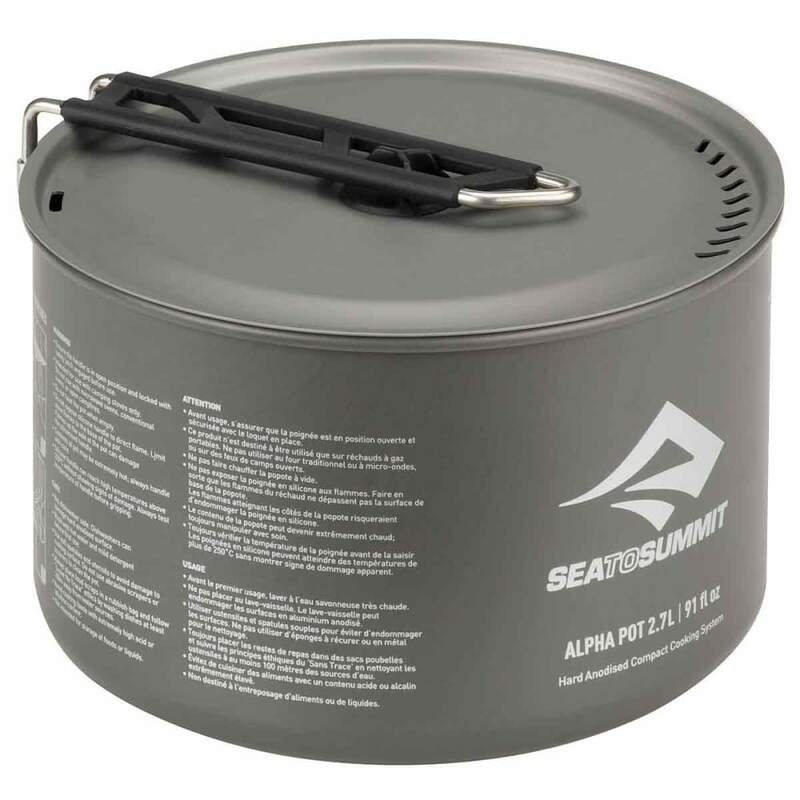 The Sea to Summit Alpha Cookware started with the desire to create an extremely lightweight, high-quality cooking system without compromising on durability or functionality. Both the Alpha Pans and Alpha Pots are made of a high-spec, hard-anodized premium alloy, allowing them to be thinner and lighter but still extremely strong and durable. 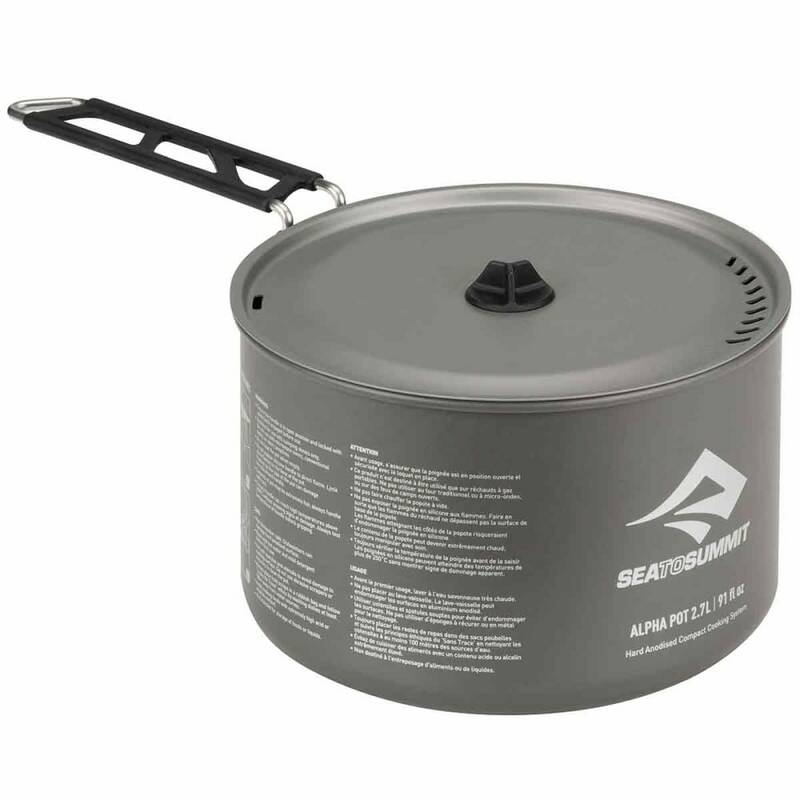 A sandblasted base adds texture, making them more stable on a camp stove. Pivoting on a single horizontal axis, the Pivot-Lock™ handle on the Alpha Pot locks firmly in place when you're cooking, giving you a secure grip with no danger of the handle collapsing. When not in use, the Pivot-Lock™ handle rotates inward and locks the lid and nested contents securely in place. 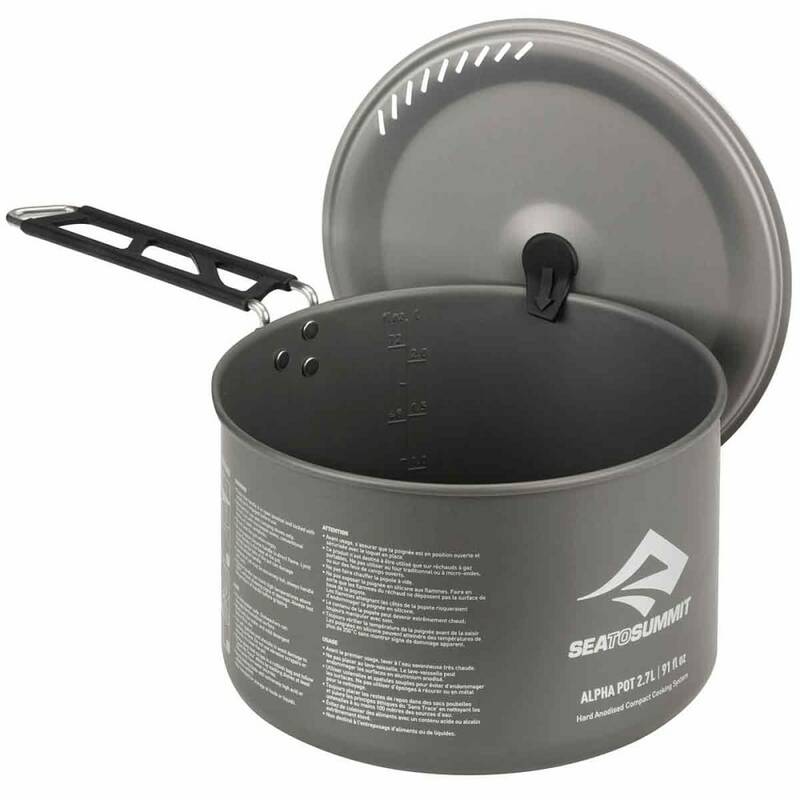 The Alpha Pot lid also features an easy-flow strainer, as well as the patent-pending Lid Keep™ – an innovative design allowing the Alpha Pot lid to hook to the pot rim, keeping it out of the dirt and giving you the ability to use both hands for other tasks. 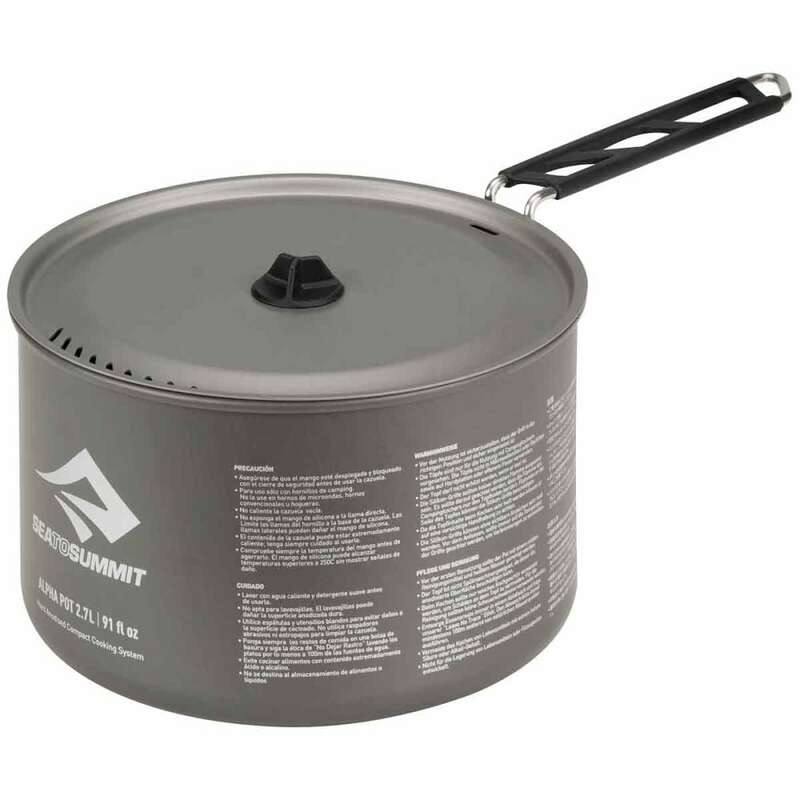 Designed to be functional for solo to group use, the compact-nesting Alpha Pots are compatible with Alpha Pans and the new DeltaLight range of camp dinnerware. From extreme expeditions to family camping, the versatile and compact Alpha series is ideal for all outdoor adventures. Volume (fluid ounces): 92 fl. oz.